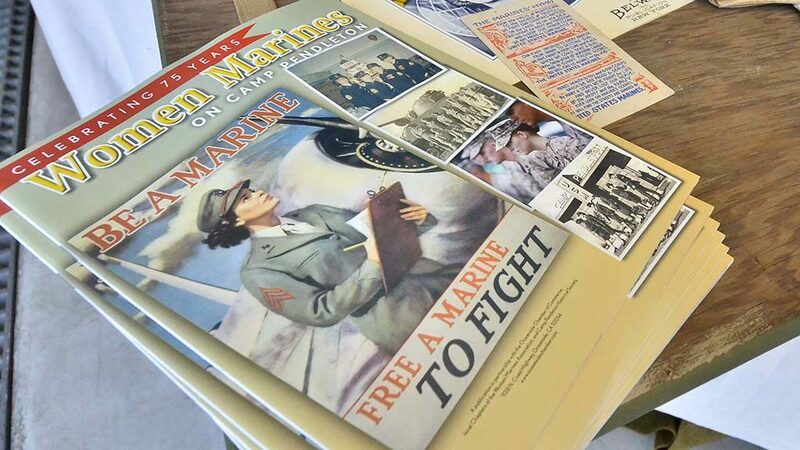 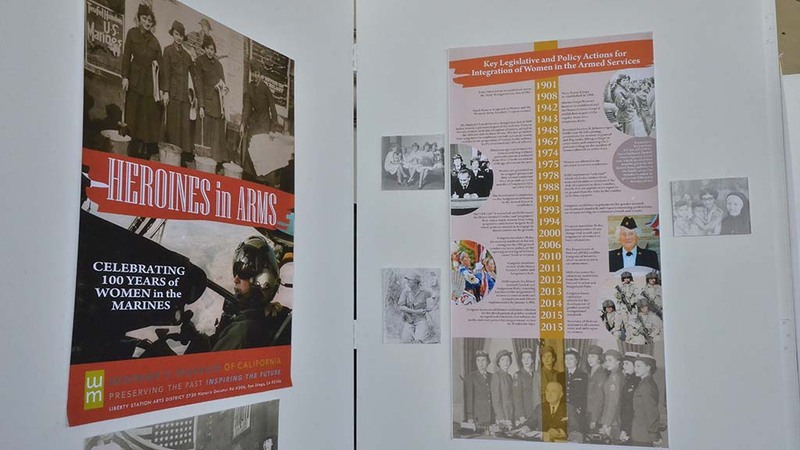 They used to say “Your mother wore Army boots.” But that’s no slur at MCAS Miramar as Marine women’s footwear from World War I to today is proudly on display. 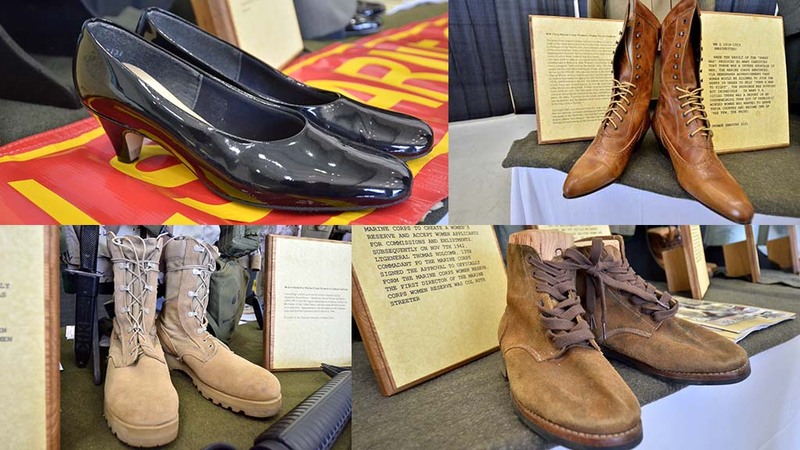 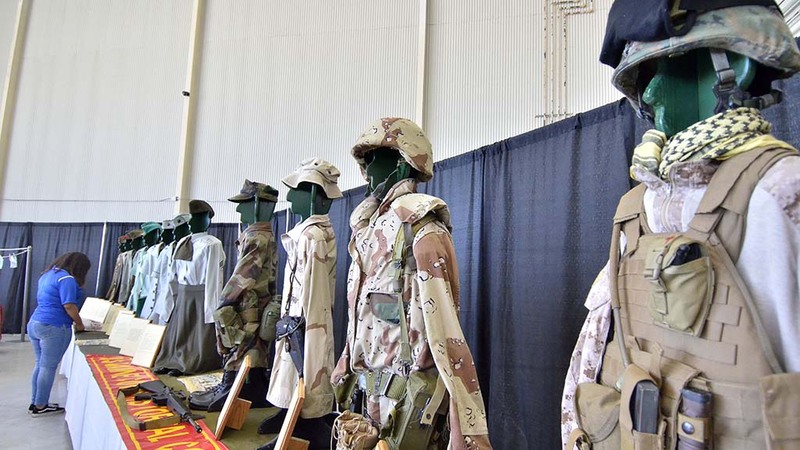 Visitors can view leather high boots, combat boots, pumps and brown suede shoes at the Miramar Air Show as it salutes a century of Marine women’s history. 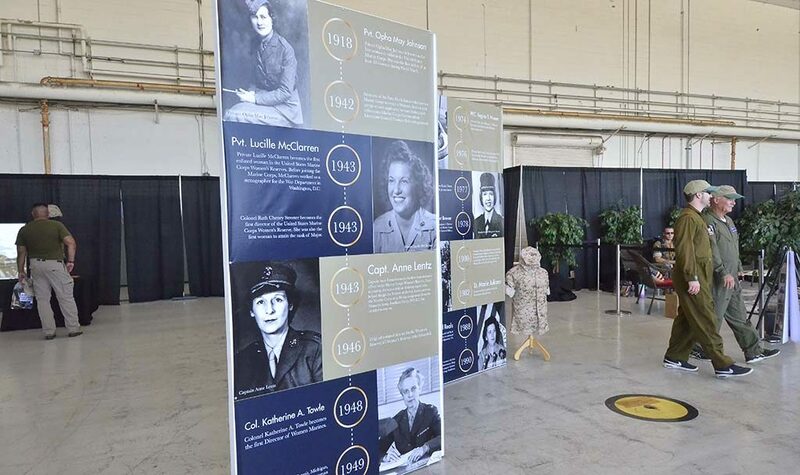 Even better, retired and current service women are available for meet-and-greets from 10 a.m. to 2 p.m. Saturday and Sunday. 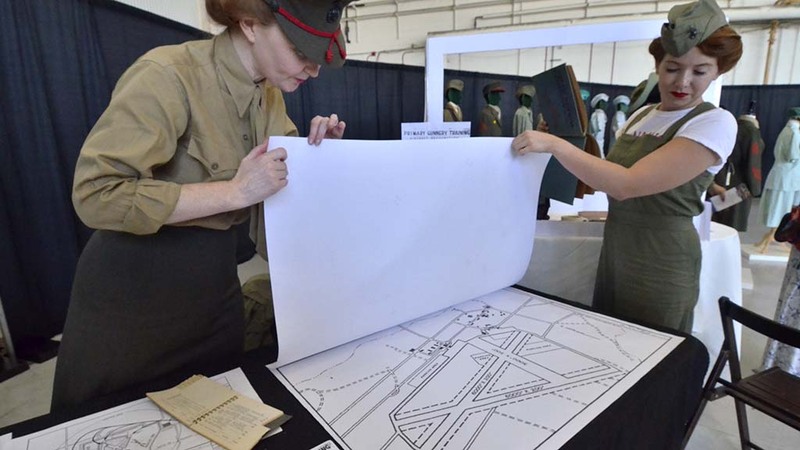 Aircraft soared but thankfully temperatures didn’t as one of the largest military air shows took off Friday under sunny skies in the mid-80s for a three-day run. 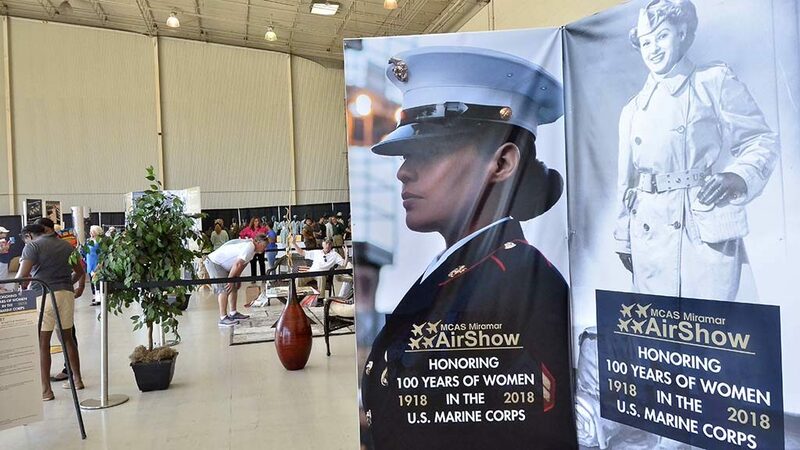 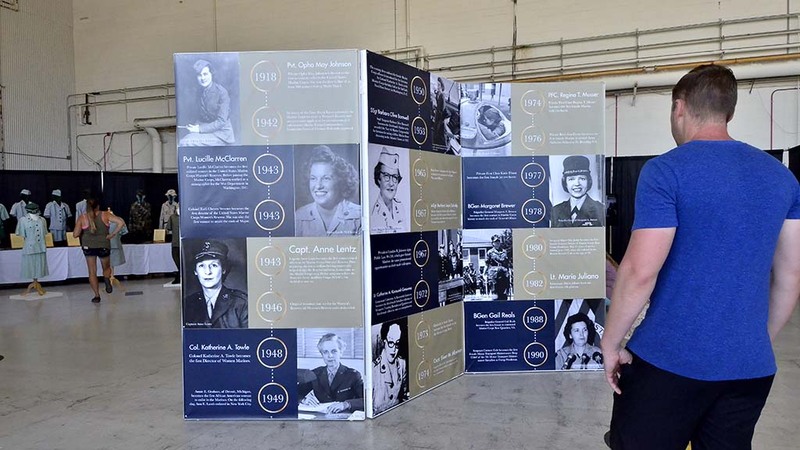 Celebrating 100 years of women in the U.S. Marine Corps, the annual event again featured the Navy Blue Angels, a Patriot L-39 Jet Team and demos of the U.S. Air Force F-22 Raptor and the U.S. Marine Corps F-35 Lightning II. 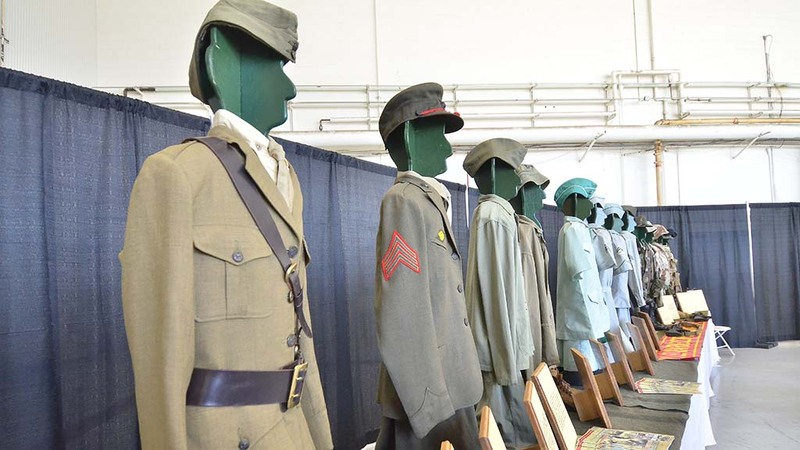 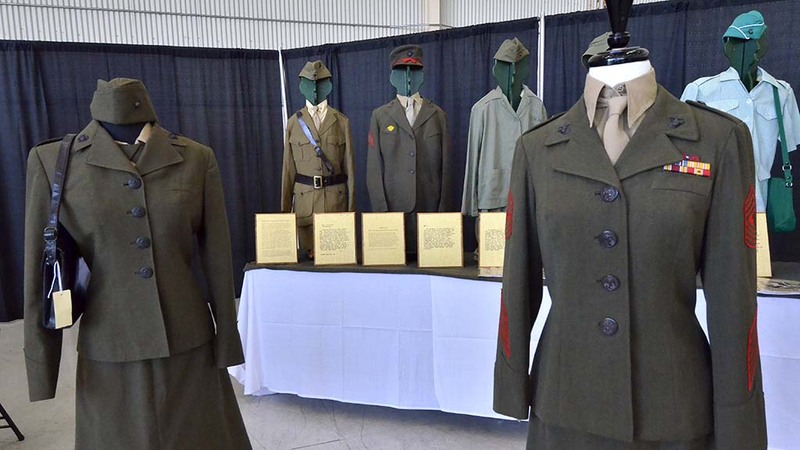 Women’s uniforms on display in the Air Show Expo building went from heavy wool to cotton-polyester and gabardine. 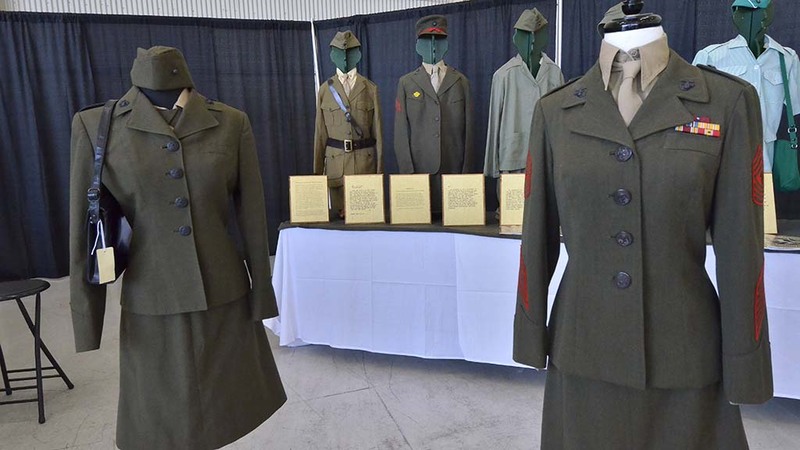 Finding a women’s World War I uniform is “virtually impossible” with only one or two originals in museums, said the owner of the collection, retired Master Sgt. 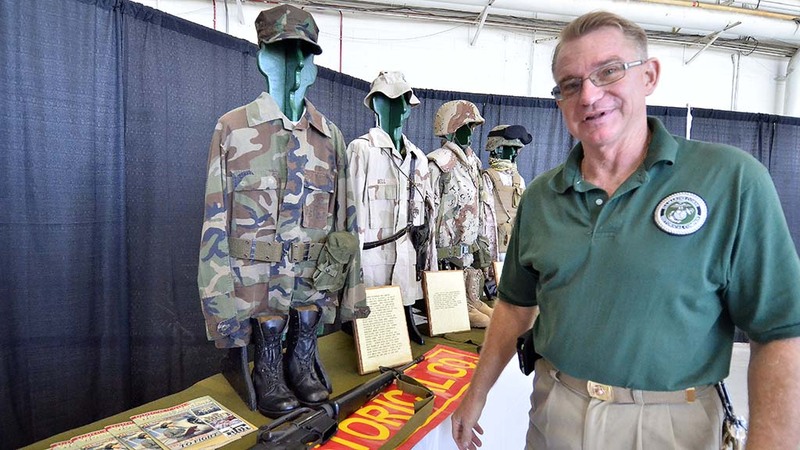 Alfred Jaenichen of Santa Ana. He’s with the U.S. Marine Corps Historical Company, which aims to share the history of the Corps. 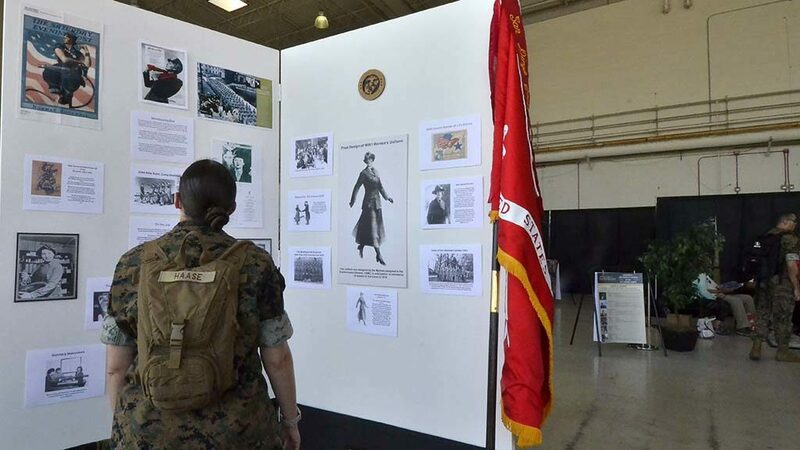 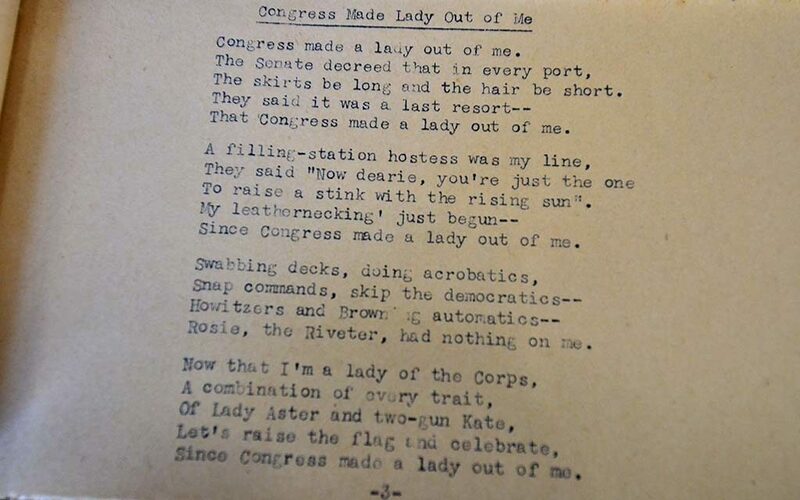 In World War I, female Marines wore skirts that went almost to their feet, he said, whereas in World War II women wore uniforms with bib overalls and jackets (with a shorter skirt). 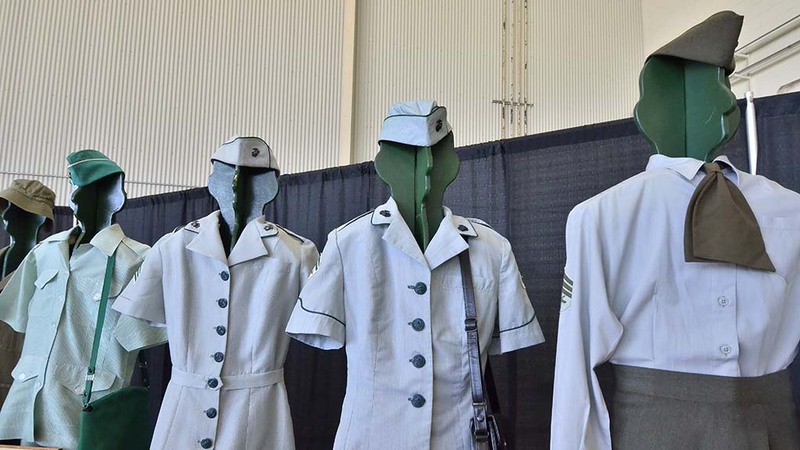 By the 1950s Korea War, women were wearing striped green-and-white uniforms, similar to flight attendant garb. From 1959 to 1961, they wore full-length dresses, said Jaenichen, 56.